Bit later today, too much stuff going on. Just leaving some AMG goodness here. I’ve covered both the G and the SLS before so go there for more info in general. Teutonic Tuesday: Tarnung im Gelände! 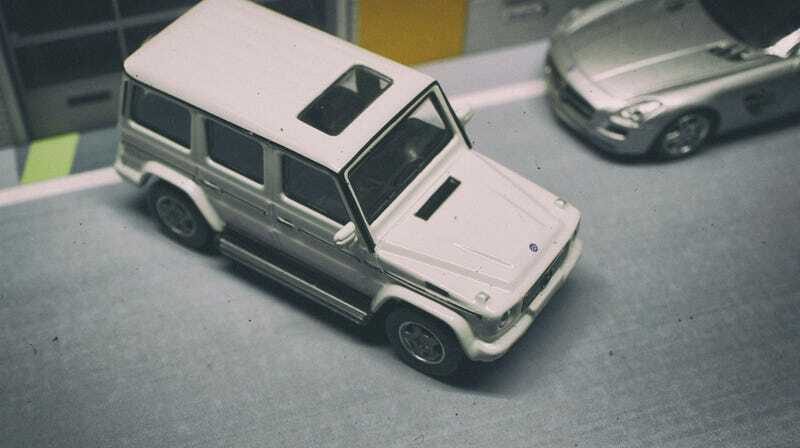 These are from Kyosho’s AMG Minicar Collection in 1/64. As there is no number on the boxes I suppose it’s series 1. Not sure if there are later series actually. Not sure if the proportions on the SLS are totally correct, it just looks sooooooo long. That AMG Gelände however: Brutal and looks to be correct, down to the wheels. And that’s it for today. Viel Spass!